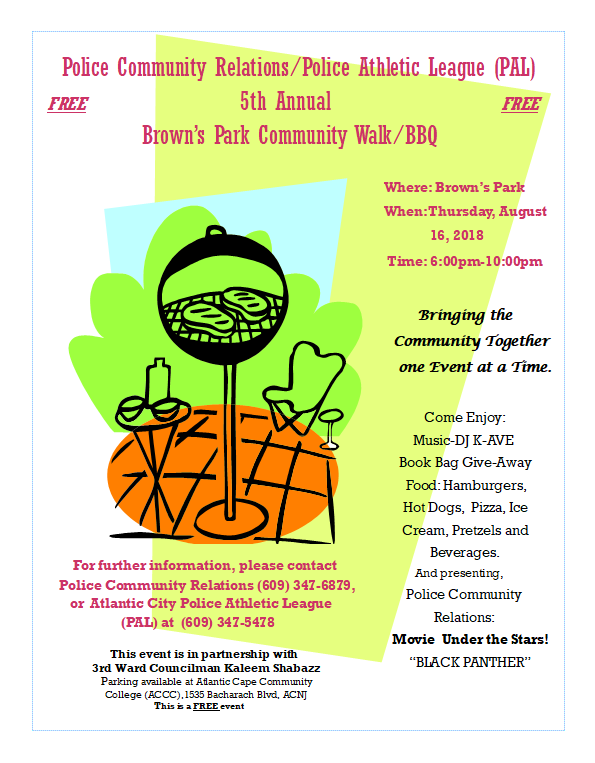 Community will be the theme Thursday as Atlantic City celebrates its fifth annual Brown’s Park Community Walk and BBQ. The event is on the same night as the weekly Community Walk attended by law enforcement and Atlantic County Prosecutor Damon Tyner, which begins at 5:45 p.m. at the All Wars Memorial Building. Thursday’s event will include special guest Attorney General Gurbir Grewal.